The real estate market in Shanghai is one of the fastest growing in the world, apartments and houses have a fast turn over. This is based on a mentality: In China, it is considered chic to own a property, which is why houses change owners more often than elsewhere. In the 1990s, many Chinese were able to buy their state-assigned apartments for little money, which many did. This is one of the reasons why housing in Shanghai is limited and vacant apartments are quickly rented. So if you are looking for an apartment in Shanghai, there are a few things to consider before you begin searching. The history of the city dates back to 4,000 years B.C. when it was an important trading center at the Yangtze River and flourished in the Qing Dynasty from the 17th century onwards. Due to international trade relations, Shanghai developed into a cosmopolitan city at the end of the 19th century. 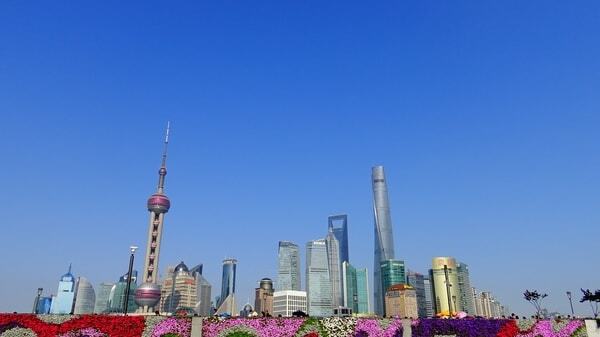 Shanghai is still a particularly important business location in China. For this reason, a large number of people live here - long-term or temporarily. The construction boom remains unbroken. In 2017 the population numbered 24 million people. Of these, 15 million live in the city center and another eight million in the neighboring urban areas. The city's area (6,300 m²) is equally large and it is important to get an overall impression before looking for a new apartment. The best thing to do is to decide on a district and its neighbouring zones and search in a targeted way. Commercial center of Shanghai. Amazing nightlife with many bars, restaurants and clubs. It is the most popular district among expats. The historic and old quarter of Shanghai, streets are lined with trees and lovely coffee shops as well as fancy bars. The Former French Concession is located in the northeast of Xujiahui. Quiet area, located in the northern part of Shanghai. Popular for it’s famous universities and student bars. Financial Center, high skyscrapers, modern architecture and wider living space. Pudong is located on the East side of Shanghai. Shanghai housing can be tough, if you don´t know where to start looking. The inner city center of Shanghai is very busy, densely populated and often overcrowded. Nevertheless, here you are right in the middle of the nightlife, restaurants and bars, cultural venues and more. Especially if you come to Shanghai on your own and live in a shared apartment, this can make it easier to settle in. Especially when you are working, your workplace will be more likely to be in the center, so the distance is not too long. Living in the center is perfect for interns or young people who are just starting their careers or come to Shanghai as students. Here you can enjoy everything Shanghai has to offer: Short distances, beautiful streets and a sociable atmosphere. Xuhui is particularly popular with young professionals and artists. 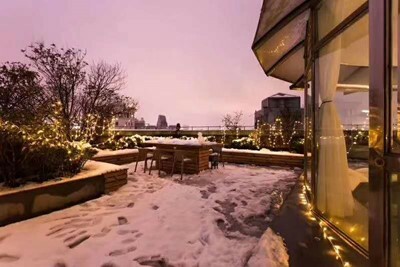 The two appealing neighbourhoods Tianzifang and Xintiandi in Huangpu belong to the so-called French Concession. They are full of bars and restaurants and you will get a very good impression of traditional Shanghai. Here, you' ll always find young people, tourists and locals who are young at heart. The old town of Shanghai is also one of the oldest parts. Here you will find unique shops where you can breathe the true spirit of Shanghai. An insider tip which is particularly popular among artists is Suzhou Creek on Wusong River. Here it is even quieter, but at the banks of the river the scenery is idyllic and the apartments are still quite affordable. Another district for those looking for a little more peace and tranquillity is Pudong. It was joined later to Shanghai, compared with the other districts. This is the financial district of Shanghai and here you will find many skyscrapers, but also industrial areas. On the other hand, there are also spacious villas with large gardens and backyards for BBQ. For families with children, Pudong is a great choice. Minhang and Changning (Gubei) are another options for families. Here there are many international schools and child-friendly offers. The distance to the center is still not too long. The suburbs of Shanghai are quieter, with clean air, but also more isolated. 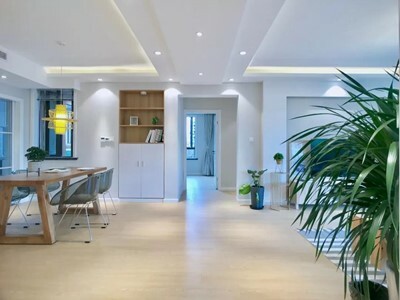 Shanghai apartments in districts such as Jiading, Hongqiao and Yangpu have a significant cost advantage, but you should also bear in mind that the distance to the city can be very long. Although the subway system is well developed, the stations in the suburbs are quite far apart. That could mean a long walk for you. In terms of housing prices, as in all major cities, it is clear that rents in the central areas of Puxi are by far the most expensive when renting in Shanghai. Especially Xuhui, Jing'an, Luwan and everything near Nanjing Lu, Huaihai Lu up to Yongkang Lu is quite pricey. Also, it is the most densely populated area in Shanghai. Once you move away from these core areas, prices drop drastically. Rent rates around Changping Lu or West Yuyuan Lu are already 20% to 30% cheaper than apartments in the parts mentioned above. Other, quite central but still affordable residential areas are the districts bordering the city center. These include, for example, Jiangning Lu / Jiashan Lu in the north or Dupuqiao in the south. Sometimes even a street can make a difference between two rental levels when renting in Shanghai. Further afield, you can already get a spacious two- or three-room apartment for the same price as a small room in the city center. Shanghai housing - How do you want to live? The housing market in Shanghai is huge, with individual apartments being vacant or completed on an ongoing basis. But as quickly as Shanghai apartments or Shanghai rooms are on the market, as quickly they can be taken again. If you want to find what you are looking for, you need to be decisive and not hesitate too long in making a decision. Otherwise, the desired apartment in this tight Shanghai housing market is already rented out to someone else. Not only the location of an apartment in Shanghai determines its price. The type of apartment also has a great influence. There are different types of housing in Shanghai. The classic apartment of your own depends very much on your budget and the location. In the inner districts of the city, it is almost impossible to have one's own apartment as a student or a normal employee. But you are close to the city, to the nightlife and to many sights, such as the old town. 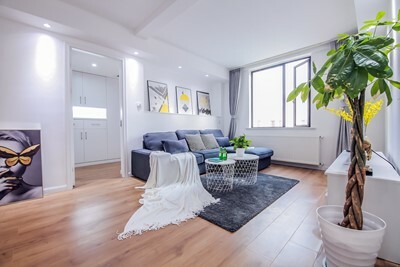 In Shanghai renting market, in addition to the option of renting your own, vacant apartment, there are other options - renting a serviced apartment or renting a shared apartment. 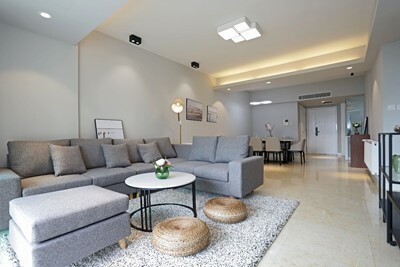 Serviced apartments are often found in newer high-rise buildings. These apartments are fully furnished, all kitchen and household equipment are included in the rent and the rental period is often very flexible. 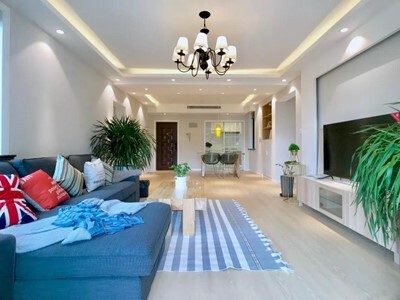 But there are other special features of serviced apartments in Shanghai: There is a complimentary cleaning service, restaurants in the building, a shopping service, a concierge and so on. The prices are therefore quite high, yet there is nothing missing. For someone who arrives in Shanghai and first has to look for a long-term place to stay, a serviced apartment is the ideal solution. The apartments can be rented by the week or even by the day. Shared apartments, on the other hand, are cheaper and more sociable. 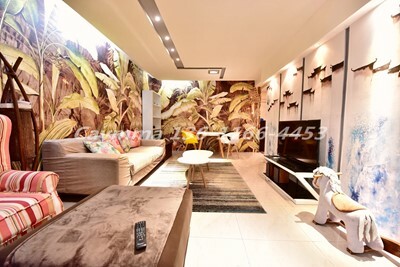 Such a shared apartment in Shanghai often is a mixture of Chinese people, exchange students, international interns or trainees. They are cheaper than an own apartment and you can afford to stay in a central location, even if being in Shanghai as student. 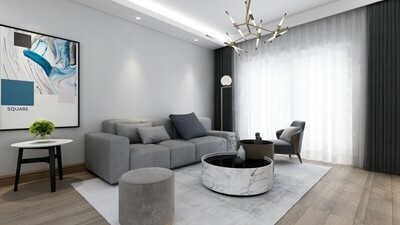 Of course, you can also get this as a luxury shared apartment in serviced houses. 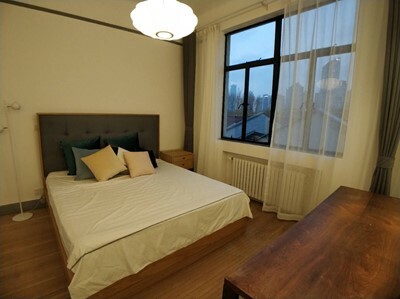 If you are looking for an authentic Chinese living environment, you can also rent a single room in larger apartments from Chinese residents. In general, subtenants are not sought and selected by the main tenant himself, but by the landlord of the entire apartment. If you come to Shanghai as student, this choice might be the best one for you. In Shanghai, rooms or apartments, it is common to sign a lease for one year for the time being, sometimes for 6 months only. Long-term rental agreements of two to three years can rarely be found. This reflects the character of Shanghai's booming real estate market: Many houses or apartments are investment properties that should be available for short-term sale if required. Therefore, it is difficult to get a long-term lease. On signing the contract, usually, a deposit of one to three months' rent is due. The price of the rent can sometimes be negotiated successfully. 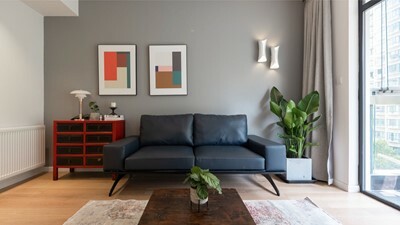 How do I find a cheap apartment in Shanghai? The first point of contact for the search for an apartment in Shanghai or Shanghai rooms should be the Internet. Especially on expat-oriented websites, you will find good offers in English. Chinese real estate sites seem to be a good alternative, but most of them are only in the Chinese language. You can also try your luck at one of the numerous real estate agencies throughout the city. 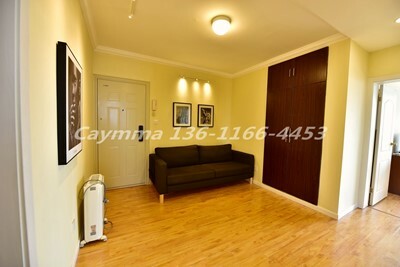 The brokers always have a large selection of apartments and Shanghai rooms. The advantage here is that the offices are almost always in the same area as the apartments. Thus you can decide for a district and then go to brokerage offices directly.